Apple Music’s new $99-per-year CAD subscription tier is now available in Canada. The new subscription level accompanies the monthly, family and student streaming options. The year’s option saves users $20-a-month if they plan on keeping their subscription for a 12-month period. If you’re a new Apple Music subscriber, the option shows up on the platform’s subscription page. If you’re a current Apple Music subscriber you can find the subscription tier by navigating to Music App > For You > Account (top right) > View Apple ID > Subscriptions and then Apple Music. Until now, the only way to get your hands-on a $99 Apple Music gift card. 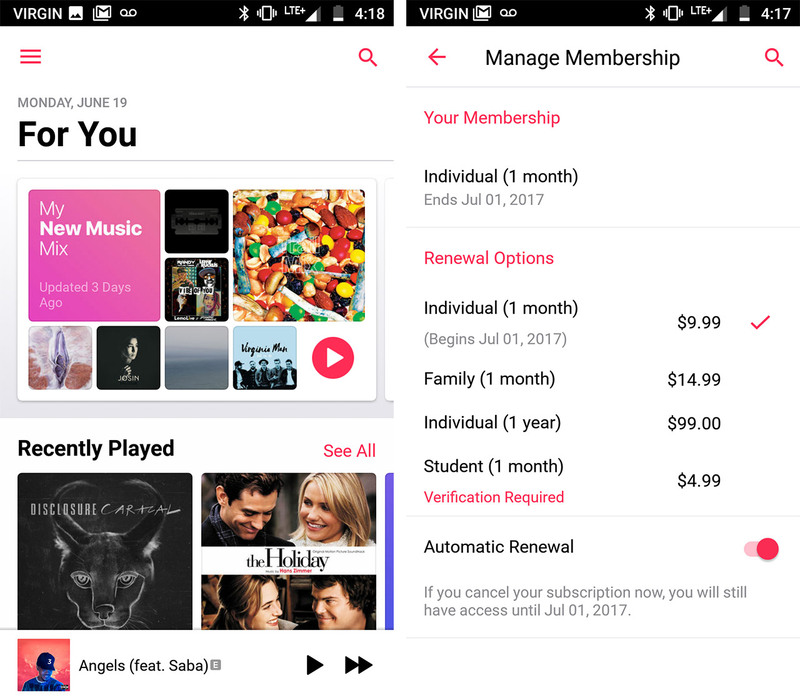 Apple Music is priced at $9.99 per month for a single subscription, $14.99 for a family and $4.99 for a student. Apple Music is available for both iOS and Android.